The post-Texas Rangers era of Globe Life Park in Arlington is taking shape, as it will host a XFL squad beginning in 2020. The Rangers will play the 2019 season at Globe Life Park before moving into the adjacent Globe Life Field–an upcoming retractable-roof ballpark that is currently under construction. 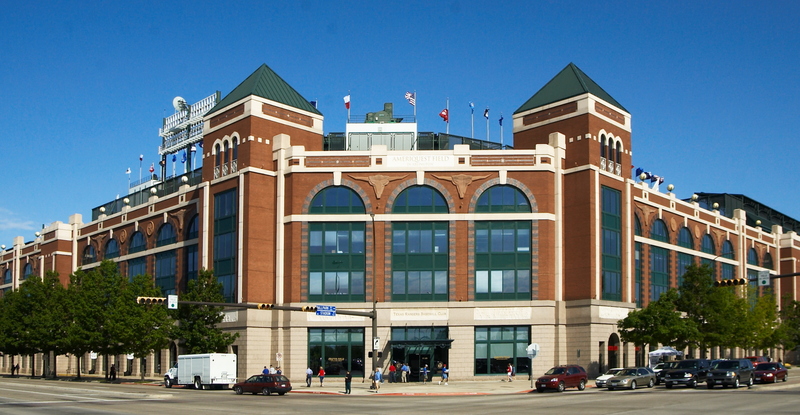 A retractable-roof ballpark was pitched to provide more shelter from the Texas heat than the open-air Globe Life Park, which originally opened in 1994. Throughout the planning process for the new ballpark, however, all signs have pointed to Globe Life Park being repurposed rather than demolished. Currently the seating capacity for Globe Life Park is listed as 48,114; that would mean the Rangers would reduce, and or not use, approximately 20,000 seats for an XFL game. Texas Rangers senior vice president of events Sean Decker said the team will have to “selectively” demolish portions of the lower level to accomodate a football field; his hope is to have a capacity for an XFL game between 20,000 to 25,000. Neither the Rangers nor the XFL want to cram in a football field in a baseball stadium for the sake of doing it, as is currently the case in some baseball stadiums that host the random football game. Fenway Park, Wrigley Field, Yankee Stadium and AT&T Park in San Francisco all host the occasional football game in venues made for baseball, and both the optics and the configuration for a football game are off. Globe Life Park would not be the only former ballpark in recent history that was used for football after its MLB squad departed. Following the Atlanta Braves’ last season there in 2016, the former Turner Field was converted into Georgia State Stadium–a new home for Georgia State football. The XFL is currently slated to begin play with eight teams in February 2020. It will feature a 10-game regular-season schedule, so Globe Life Park would host at least five games.